Professional software for Passport, Visa and other ID photos. ID Photos – What is it? ID Photos Pro 8 itâs a professional software designed for quick and automatic ID photos processing (e.g. Passport, Visa etc.) in compliance with ICAO and local regulations. Built-in database with over 280 ID formats for more than 87 countries puts ID Photos Pro 8 at the top of its class. ID Photos Pro 8 is equipped with a wide range of features making working with photos fast and easy. ID Photos prints a Certificate of Compliance with ICAO standards as well as a Confirmation for the ePhoto format. The software operates with all type of printers. It allows also for seamless page export to digital minilabs. Automated facial & biometrics features detection currently in its 2nd generation. Our fast and accurate features detection allows you to automatically process multiple photos. A comprehensive reporting function allows you to closely monitor vital statistics such as number of prints, exports, CD/DVD burns. A detailed Job Log of operator activities is also included. 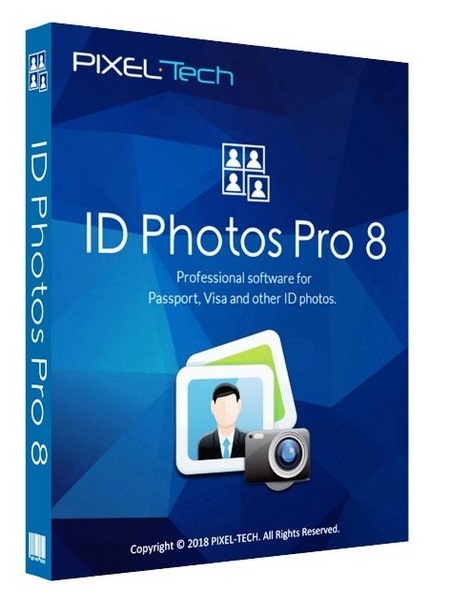 ID Photos Pro 8 is one of the few software approved for Franceâs National ePhoto Program. Operates with Wacom tablets to capture the signature required in the ePhoto application process. The ePhoto feature requires an additional GIE registration fee (payment and activation through Tetenal sarl). Live View on a PC display and picture triggering directly from the software. Most modern Canon cameras are supported. Nikon and others coming soon. The software comes with over 60 ready-to-use templates. GUI editor for additional customizations such as pictures layout, additional texts, company logo, etc. Direct exporting of the processed photo to a file, CD/DVD burns as well as e-mail transfer to your customer. ID Photos takes full advantage of Windows Color Management. Supports both manual corrections and ICC profiling with print colors âsoft proofingâ. WiFi and Watched Folder allows you to work with wireless cameras and instantly provides a photo on-screen preview. Built-in, easy-to-use photo retouch function comes with a clone stamp as well as make-up and local adjustment tools. Integration with external software such as Photoshop is also available. ID Photos can adjust the background luminosity and uniformity by automatically isolating the head and body from its surroundings. Automated archiving feature takes care of keeping all photos together. The search engine allows the Operator to find photos via customer name or date taken.